This section deals with disease that can not be removed completely or the disease has recurred. What can be done for my cancer of the pancreas as surgery is not an option? The current impression among cancer specialists is that if the disease is advanced to a point that surgery is not possible and/or the medical condition of the patient does not allow for adequate surgery the cancer of the pancreas is considered not curable. This does not mean that no patient will survive for more than 2 years but the number of patients who survive 2 or more years with no evidence of disease or without any evidence of progressive disease is very small. Published data in medical literature shows that 5 – 12 % of patients with locally advanced pancreatic cancer following chemo- and radiation therapy will be alive at 2 years. Currently, for patients with more advanced disease (metastatic – involvement of other organs) the outcome is poor with only half of the patients diagnosed at this stage being alive 2 to 6 months after diagnosis. What are the treatments to improve my chances? For locally advanced disease (no evidence of metastatic disease):The standard treatment is chemotherapy combined with radiation therapy. There is no clear standard in this setting and participation in clinical trials looking at better combinations, schedules or newer chemotherapy drugs prior to, during or after radiation therapy is the right choice. For patients who have no access to or do not want to participate in clinical trials the most common drugs used are: gemcitabine, 5-fluorouracil (5-FU) and cisplatin. Again, the schedule and dose of these drugs are variable from one institute to another and little if any difference exists in outcome.For metastatic disease: The standard therapy is chemotherapy. In the United States the drug of choice is gemcitabine. However, as described above with a median survival of less than 6 months for patients with metastatic disease who have received gemcitabine it should not be considered the standard therapy but the stepping stone to improved treatments through clinical trials. There has been efforts to improve the treatment of advanced cancer of the pancreas. There is preliminary data from combination regimens with newer chemotherapy drugs such as irinotecan, oxaliplatin with 5-FU or gemcitabine that is encouraging. 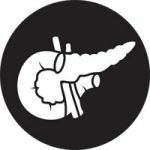 Also, with better understanding the biology of pancreatic cancer “targeted therapies” are finding their way into clinical trials for cancer of the pancreas. If there is to be an improvement in the management of this disease it is going to be through cooperation between the scientists, the clinical investigators, the primary physician of the patient and most importantly the patient. Therefore, participation in clinical trials in testing new combinations of chemotherapy drugs or new targeted therapies are important and should be considered the standard approach in advanced cancer of the pancreas. How do I find out about clinical trials in cancer of pancreas? The best resource should be your healthcare provider (your oncologist, surgeon or primary care physician). Appropriate referral to a clinical trial requires good knowledge of a patient’s clinical history, details of disease, overall health and social status. However, one can help the very busy healthcare professional by providing some ideas. The following sites are considered reliable sources for active clinical trials. What can be done for my cancer of the pancreas now that it has come back (recurred)? I had previous chemotherapy: If you are otherwise healthy and willing to considered further therapy you can be considered for other types of therapies but type of treatment and options are very much dependent on your prior treatment. You have to understand that currently no standard chemotherapy with or without radiation therapy offers any long term solution for the majority of patients. You and your physician should discuss the goals of treatment and when to stop chemotherapy as one needs to consider the quality of remaining life and the possibility of futile efforts in trying to treat this disease and diminish the quality of life. There is no doubt that adequate control of pain and other symptoms (such as nausea, abdominal cramping, lack of appetite, fatigue, etc) needs ongoing attention and management whether one is receiving active treatment or not. Again, for patients at this stage of their disease best treatment option is to participate in a clinical trial with novel agents or combinations of agents. Previous Article How successful is surgery for pancreatic cancer?